Galaxy S8 Multi Window Tutorials - Multi window on Samsung Galaxy S8 run two apps at the same time in the split screen view. Here our guide tutorials how to settings and use this features. Some apps may not support Multi window on Samsung Galaxy S8 / S8+ Dual Screen feature. Tap to open the list of recently used apps. 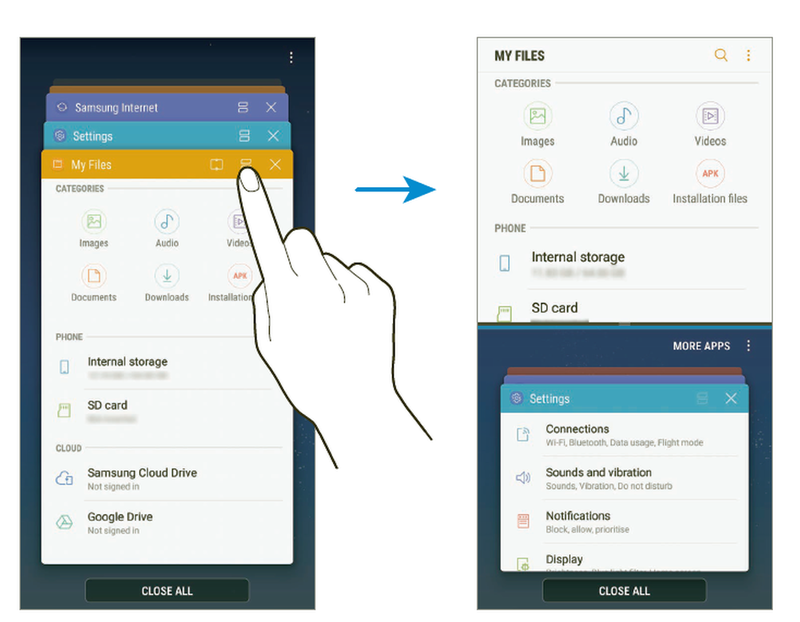 Swipe upwards or downwards and tap on a recent app window. In the lower window, swipe upwards or downwards to select another app to launch. To launch apps not in the list of recently used apps, tap MORE APPS and select an app. 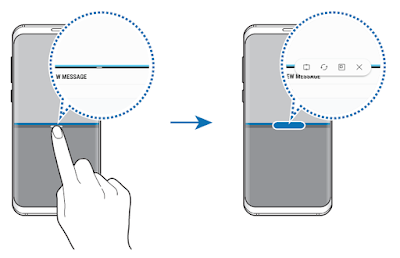 When you drag the bar between the app windows to the top or bottom edge of the screen, the window will be maximised. 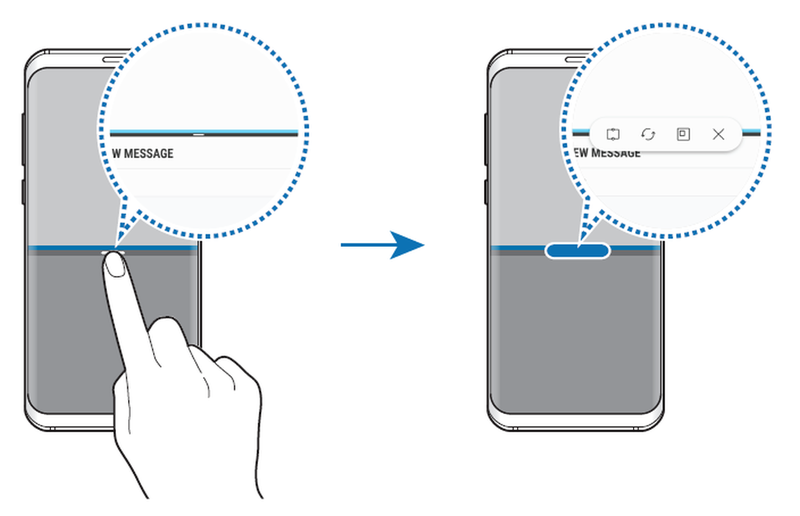 Press the Home button to minimise the split screen view. The icon will appear on the status bar. The app in the lower window will close and the app in the upper window will remain active in the minimised split screen view. To close the minimised split screen view, open the notification panel and tap the icon on the Multi window notification. Tap and drag the frame to the area you want to pin it to. To adjust the size of the frame, drag upwards or downwards. The selected app window will be pinned at the top of the screen. To unpin the window, drag the bar between the app windows.